Blogging becomes one of the most effective ways to improve search rankings, outreach and increase visitors or customers coming through your site. But, when it comes to blogging for business, a lot of companies think where to start and how they can make their brands interesting. Every consumer eager to follow every word a company says. In this case study, you’ll know some examples of how brands and businesses are using blogs to increase their customer engagement, outreach and conversions. The Walt Disney Company is one of the world’s leading producers and providers of entertainment and information. Its leadership team manages the world’s largest media company. 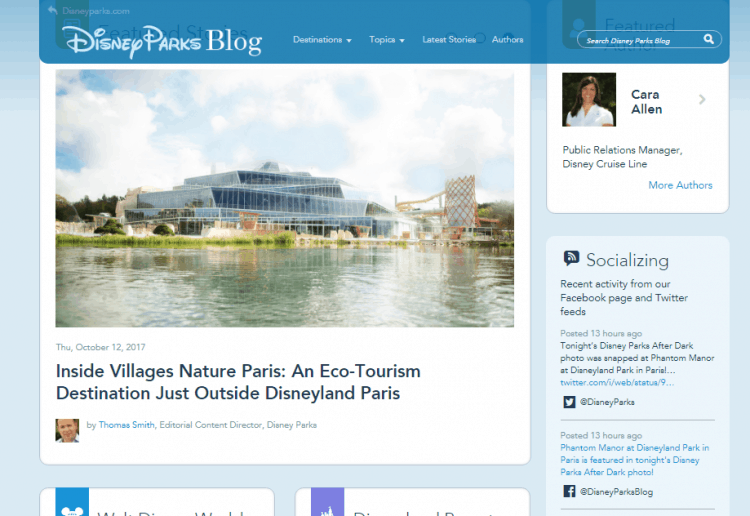 Disney brings its magical touch to blogging on its blog. Disney brand is heart focused on the kids; their blog’s content is perfect for parents looking for some tips. Its blog features behind the scene posts. Disney fans love to see the making of the magic. This blog offers a welcomed glimpse into the beloved parks and members. Even Disney doesn’t emphasize on its social networking; instead, it only has RSS and Email subscription link. Don’t be afraid to use behind the scene strategy even if you are not a renowned brand. In fact, this strategy has been used effectively by many companies to show potential clients why they should be chosen. OptinMonster is online lead generation software. It is a standalone application that integrates with web platforms, like WordPress, Joomla, Shopify, and Magento. The software is used by online marketers to convert website visitors into subscribers and customers. 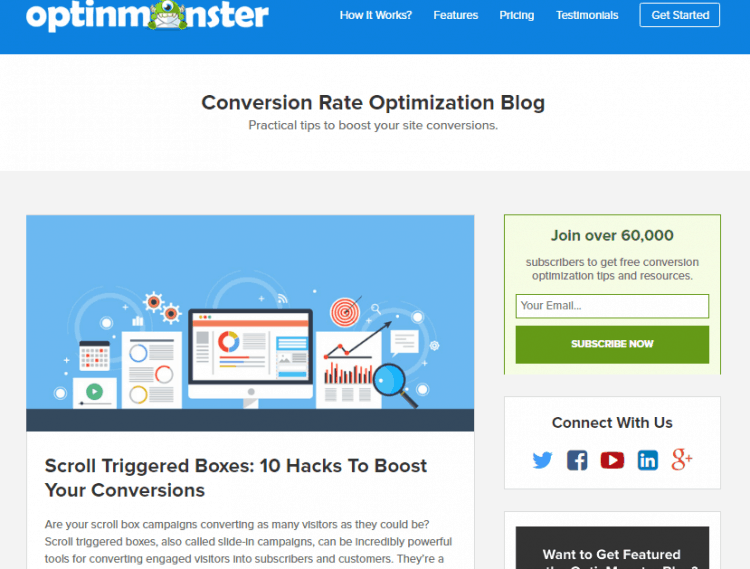 OptinMonster blog shares the best tips for conversion rate optimization straight from experts. It has built up over 300,000 users and had their software featured on some of the most popular websites in the world today. It’s not only sharing stories about their existing customers but they’re also providing value and actionable tips to website owners and marketers. Offer as much free value and tips and keep your sales messages as low-key as possible to keep the focus on the content. This strategy will build trust with your target audience and keep your readers coming back for more. Mint.com is a free, web-based personal financial management service. The approach that financial tracking tool Mint took proves that it’s possible to stand out in a crowd through well-executed online marketing strategies. Mint’s blog “MintLife” was a core part of the company’s operation. It owes much of its user adoption and brand success to its intelligent content strategy for its brand success. It offers unique and fresh articles. It gives a voice polished for the millennial. 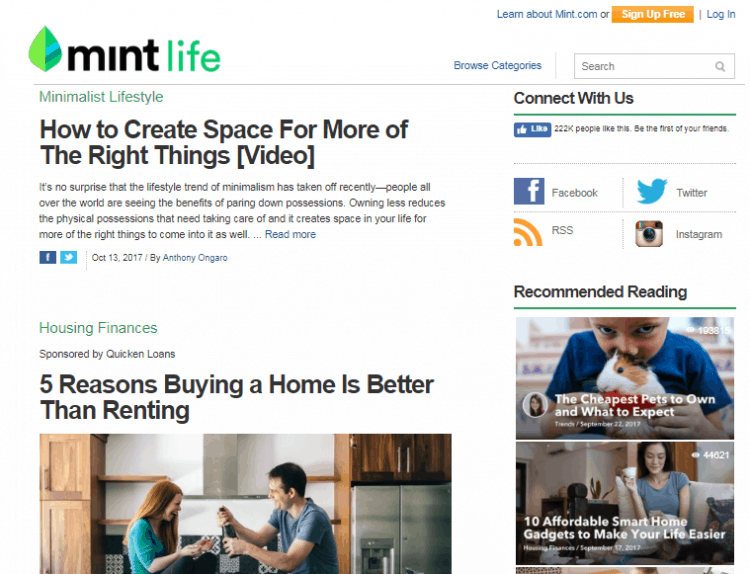 Mint dedicated significant resources to its blog, including a full-time editorial staff and freelance contributors. News and tips posts, link roundups, slideshows, videos, and infographics were all key components in its blogging strategy, and they were held to a strict editorial standard. To use quality content in targeted communities to build trust and grow relationships. Provide quality content and make sure to consistently deliver content of all types on a regular basis. Blogging and content marketing strategy will drive traffic to your website, improve engagement and increase conversions. And the best part of this is it works for budgets of all size of your company.